Sometimes a picture is posted merely because I like the action displayed. 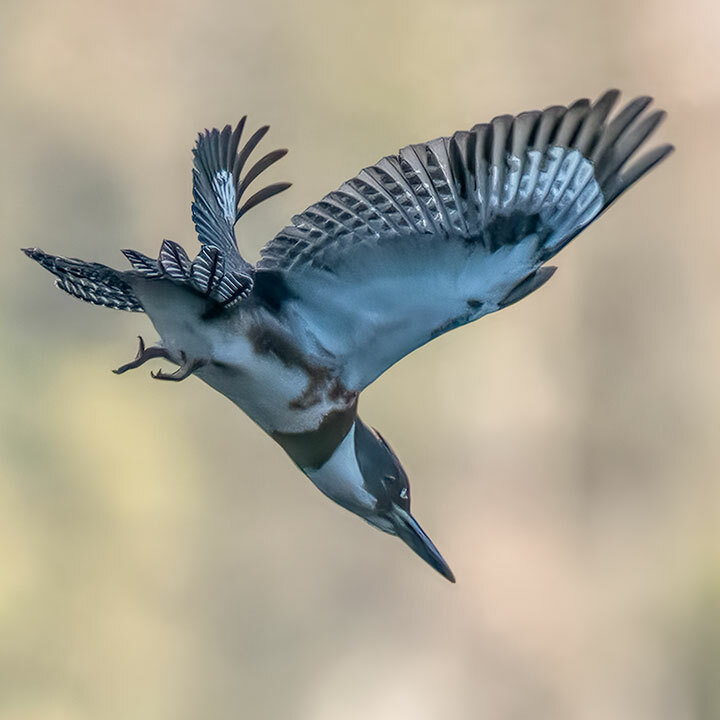 A male Belted Kingfisher plunges. It passed out of view before hitting the water. Hope the water isn’t frozen! Great action shot Alistair. Larry, chuckle, it isn’t cold enough to be frozen as yet. Your eye and finger are very quick to catch such a shot! Impressive. Grace, you might not suspect that I was all that fast if you realized the huge number of duds I produce while occasionally happening to get one good shot. Lovely image of an amazing bird Alistair. Caught in the plunge, Alistair…thanks! !